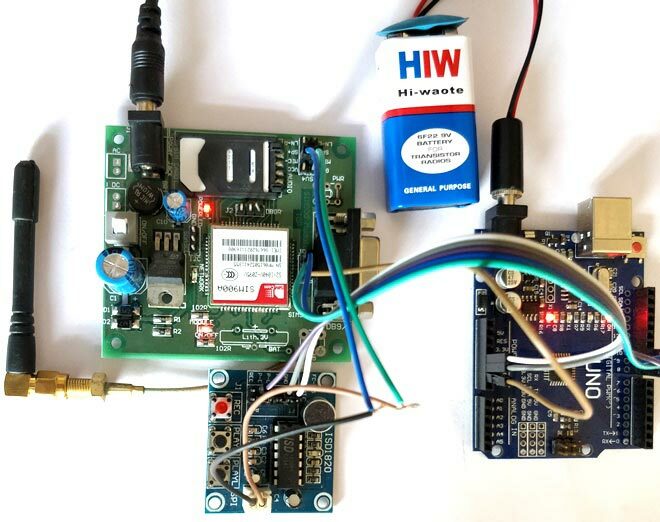 This project aims to solve this problem by creating an Automatic Call answering Machine by using Arduino and GSM module. Next time when you are changing to a new phone number or out for a long pilgrimage trip or enjoying a well deserved vacation just use this machine to record your voice stating the reason for absence and all your calls will be automatically answered by this machine and your recorded voice will be played to them. This can also be used for your business numbers to answer to your customer’s calls during non-office hours. Sounds interesting right? So let us build it..
Before we precede any further install the GSM Library, kindly click on this Github GSM library link to download the library used in this project. You will get a zip file which has to be added to your Arduino library by Sketch -> Include Librarey -> Add .Zip file. So the following function is used to convert these decimal values to strings by using string objects and then concatenate them to form a string. The final string value is stored in the variable Fdata, which is of type string and can be used to compare with any String values. Tadaaaaaa!!! Now you have your own Automatic voice call answering Machine and just go ahead and use it when required and amaze your friends and family with it. Hope you enjoyed the project and build something similar, If you had any troubles post them on the comment section and I will help you out. The projects you have posted are quite interesting and will be very useful for Technical students. Can you please provide codes and equipment needed to record messages from the caller after playing recorded message once?